The breathtaking beauty of these Colorado ski resorts has made them some of the most desirable winter destinations in the country. Widely known for their world-class skiing and charming towns, both Vail and Beaver Creek continue to attract countless skiers and snowboarders every winter. Everybody knows that the costs of skiing can quickly add up, but that doesn't mean you have to break your budget when you plan your trip to Vail or Beaver Creek. Vacatia can help you find an affordable vacation rental in one of these premier ski resort towns so that you can enjoy the excitement and the beauty of Vail or Beaver Creek without breaking the bank. Work with Vacatia to sift through the selection of 2 star Vail resorts or 2 star Beaver Creek resorts until you find the perfect vacation rental for your needs. Whether you are planning a trip with your significant other or with your family, Vacatia can help you book your stay at a quality, comfortable, and affordable vacation rental so that you can create lasting memories in the beautiful mountains of Colorado. Colorado is home to some of the country's best skiing, which is why so many snow lovers flock to ski resorts like Vail and Beaver Creek every winter. 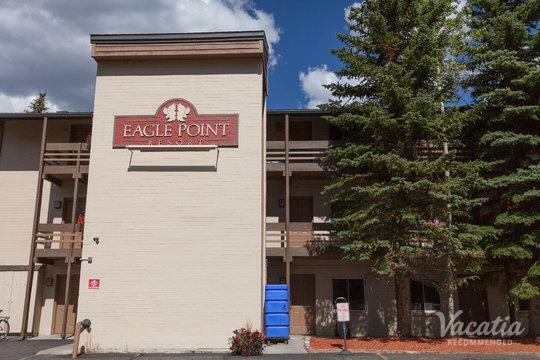 Whether you are heading to the mountains for a week-long ski getaway or are just escaping to the mountains for the weekend, Vacatia can help you book your stay at one of the best affordable rentals in the area. Vacatia's easy-to-use search tool can help you sift through the selection of cheap resorts in Vail so that you can find a great vacation rental in this top-rated ski resort. Vacatia's rental properties provide so much more than just a standard hotel can offer, as they feature the added space and comfort of a home as well as the services of a resort. So when you book your stay at one of the best cheap resorts in Beaver Creek through Vacatia, you'll have your very own kitchen and added living area, which will make you feel as if you're living in this mountain paradise rather than just visiting. Both Vail and Beaver Creek are located in Colorado, and both offer some of the best skiing in the country. These major ski resorts are home to charming mountain villages that feature great dining, shopping, and nightlife, so there's something to entertain every type of traveler. Whether you want to spend your days on the slopes or enjoy a rejuvenating spa treatment, you'll be able to find exactly what you're looking for in these Colorado destinations. So if you want to embark on your own mountain adventure this winter, be sure to work with Vacatia to book your accommodations in either Vail or Beaver Creek. Vacatia can help you find an affordable vacation rental so that you can enjoy a phenomenal ski trip on a budget.